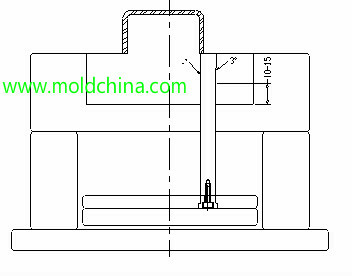 What is the ejector block in plastic injection mold? 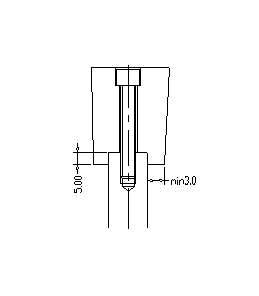 1) Direct ejection can be in 2 styles: ejector and ejecting block + ejector pin. 2) The ejector is designed with gradients on its four sides: 1°on the side that clings to the product and 3° on the other three sides. 5) When the ejecting block + ejector pin structure is applied, the positional relationship is shown in the diagram. The ejecting block is designed with gradients on its four sides: 1° on the side close to the parting surface and 3° on the other three sides.